Collaborative video creation app GroupClip launched on iOS yesterday, allowing users to record the same event on multiple devices and combine clips in the cloud to produce multi-angle movies. The app enables users to invite up to four friends in any location into the same movie project and start recording clips straight away. 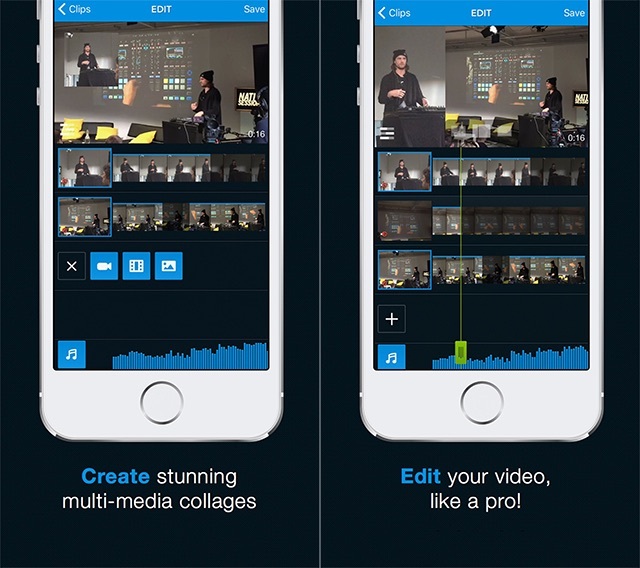 As video is synced to the cloud, each user has access to everyone else's footage, and can combine and edit them to create individual multi-angle videos. Users can select clip segments to feature prominently in their final projects, and drag and drop clips into position. Multiple layout templates are on offer within the app (including a picture-in-picture option) for users to create their collage, and photos can also be imported into film projects. GroupClip Animation Appstore groupclip.com from Burner on Vimeo. Users can also add music to videos using songs on their devices, but the app will reject songs protected by copyright restrictions. Finally, completed movies can be shared over social media or saved to devices. Looks cool. This idea is beyond my imagination. Can we record 3D movies using this app? This sounds great. Photos too? Will have to try. I hope it also syncs audio, so you can overlay multiple mics. AND some noise cancelling tech might really bring out the common audio of a speech.